One can only guess at the period of this photograph, but it must have been after 1941, because in that year the Holy Cross Church had been consecrated to replace the original building which then became a church hall. 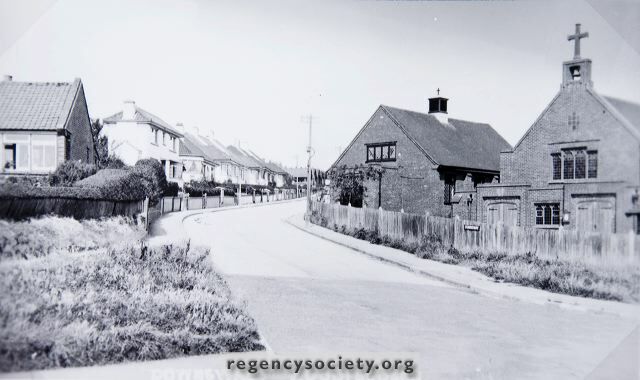 By now the road Downsway had replaced the old narrow track, it was channelled and paved and many houses had been built along the north side. Plenty of grass along the verges, though.